The purpose of this award(s) is to recognize organizations that are positively impacting their communities in ways that inspire integrity. It is open to applicants from all organizations, including for-profit, non-profit, educational and government entities. 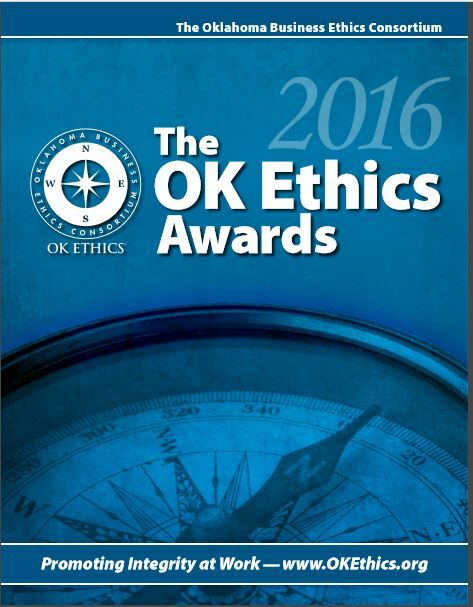 I) Education: Organizations honored in this category have demonstrated an ability to engage students and faculties in initiatives that significantly promote ethical behavior on Oklahoma campuses. II) Community: Organizations honored in this category have made significant outreach efforts that serve to uplift the community, specifically by promoting strong principles, ethical leadership and integrity. Honorees in the 2016 Award program.